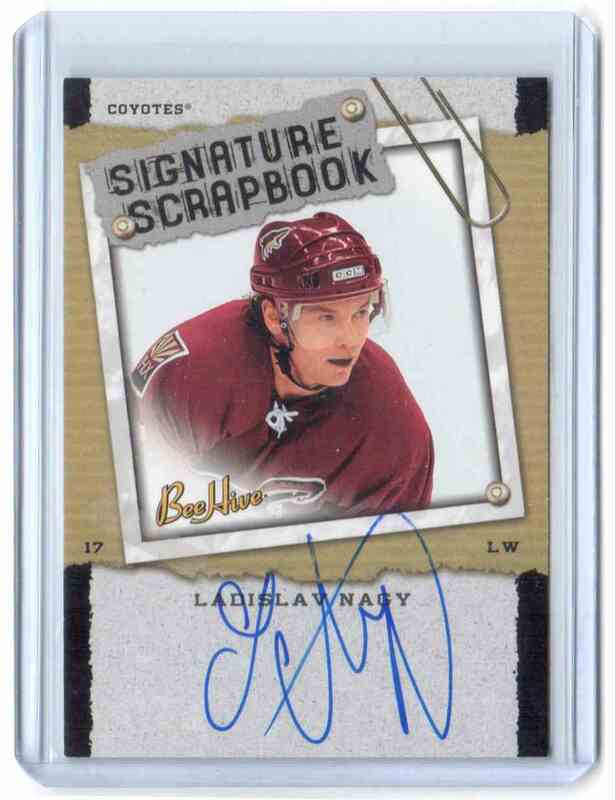 This is a autographed Hockey trading card of Ladislav Nagy. 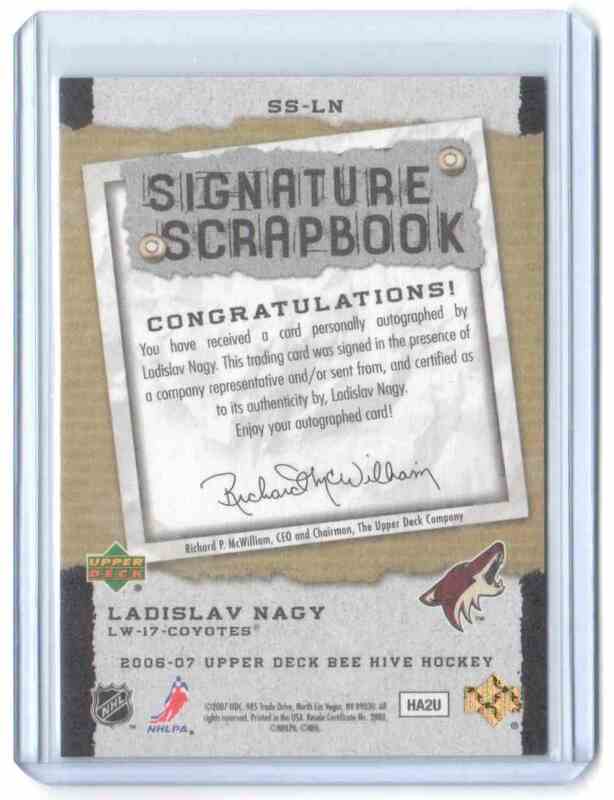 It comes from the 2006-07 Upper Deck Bee Hive Signature Scrapbook set, card number SS-LN. It is for sale at a price of $ 1.95.